In stock, ready for immediate purchase and delivery. 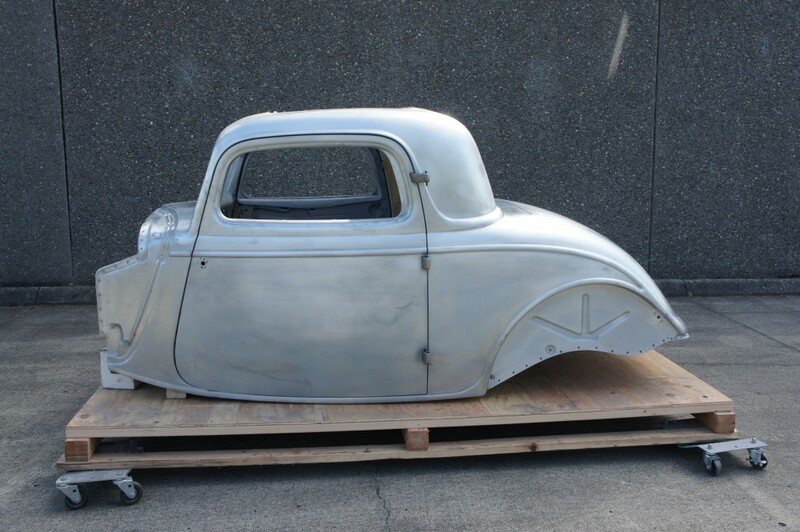 This is the very last 1934 3 Window body that I have in stock. It is from our original run of 3 Window Coupes in 2006-2008. It was purchased and remained in the original shipping crate until I bought it back. It had never been out of the crate until I took it out for current pictures. It is unaltered from the day we built it and initially sold it. It is complete with hinges, latches, dash, floor pans, firewall, all of the interior wood, cowl vent and glove box door. The price is a firm $36,000.00. This includes a $600 wood crate at no additional charge. 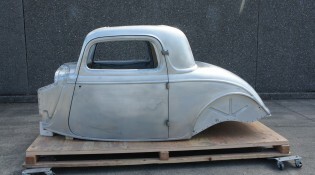 There will never be any more of these 3 Window bodies manufactured again, this is the only one available on the planet. You snooze you lose. Call 503 665 2222 for more information and more pictures if you need them.